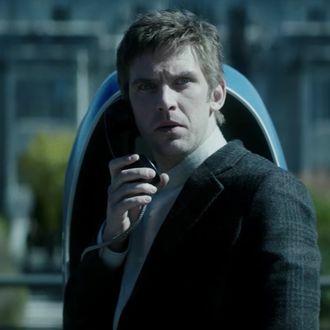 FX debuted the trailer for Legion, its X-Men-themed series from Fargo creator Noah Hawley, during the show’s panel at Comic-Con on Saturday afternoon. And now, wow, look at this … you can watch it on your computer! Isn’t it incredible — technology? Yes, indeed. How incredible technology is isn’t specifically the “theme” of Legion, but it does make you think. (From what I can tell, the theme of Legion is the state of mental health in America, and also X-Men.) Please enjoy it and tune in, if you’d like to, when the show is on FX in early 2017.